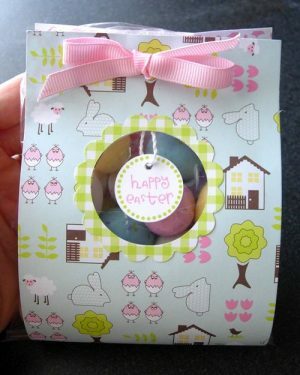 Here’s a cute and easy idea for Easter treat bags! 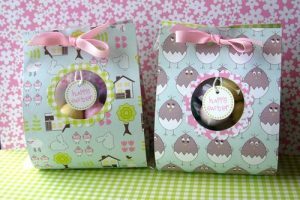 These peek-a-boo Easter treat bags are great for school friends, teachers, or in the kids’ Easter baskets. 1. 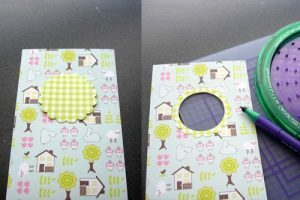 Cut one of the patterned papers into a 12 inch long strip about as wide as your cellophane bag. 2. 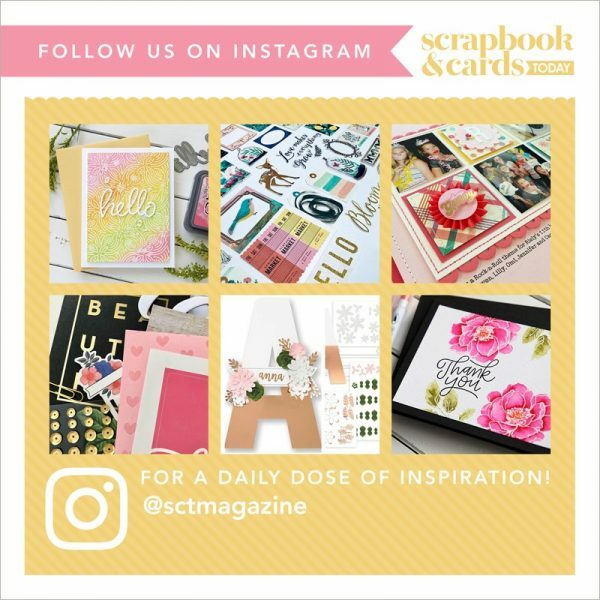 Cut a scallop circle out of the coordinating patterned paper and adhere it to the center of your 12 inch strip about 1-1 ½ inches from the top. 3. 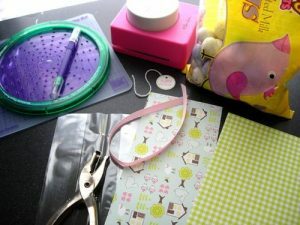 Using a circle punch or circle cutter, cut a slightly smaller circle into the center of the scallop circle. 5. 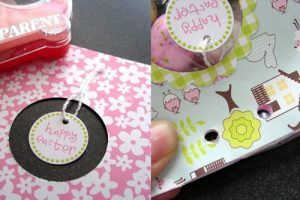 Thread your twine through the small hole at the top of the tag and tape the two ends together onto the back of your 12 inch patterned paper strip so that the tag hangs in the center of your scallop hole. 6. Put candy in your cellophane bag, fold down the top of the bag, and tape it shut. 8. Thread your ribbon into the holes from the back of the bag and tie it in a bow. **Note: Tags are in compressed .PNG format and must be extracted before you can use them. They will open in your photo editing software or in Microsoft Word as well.